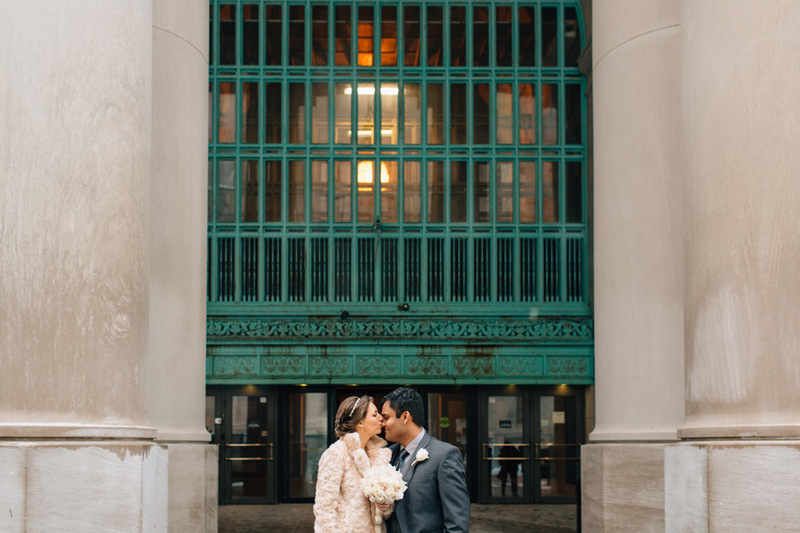 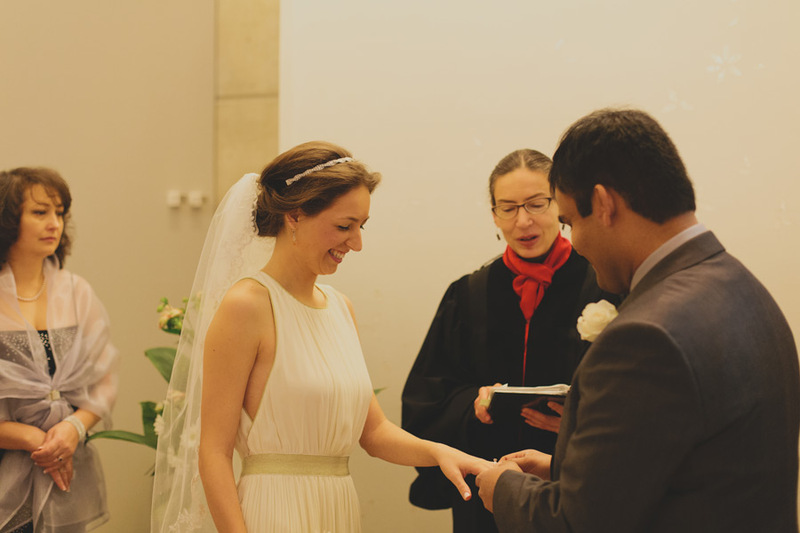 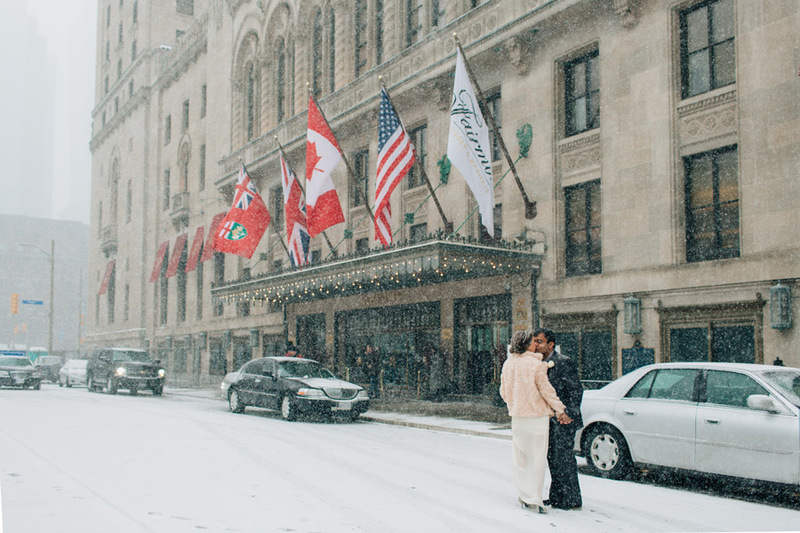 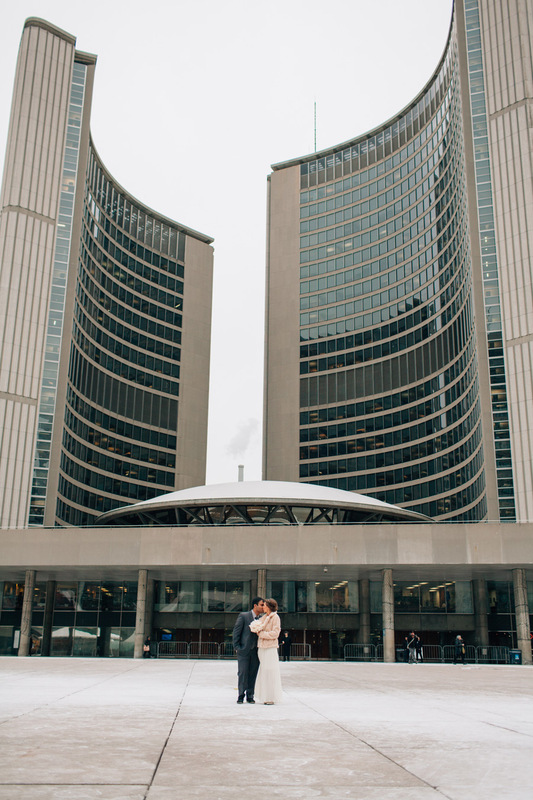 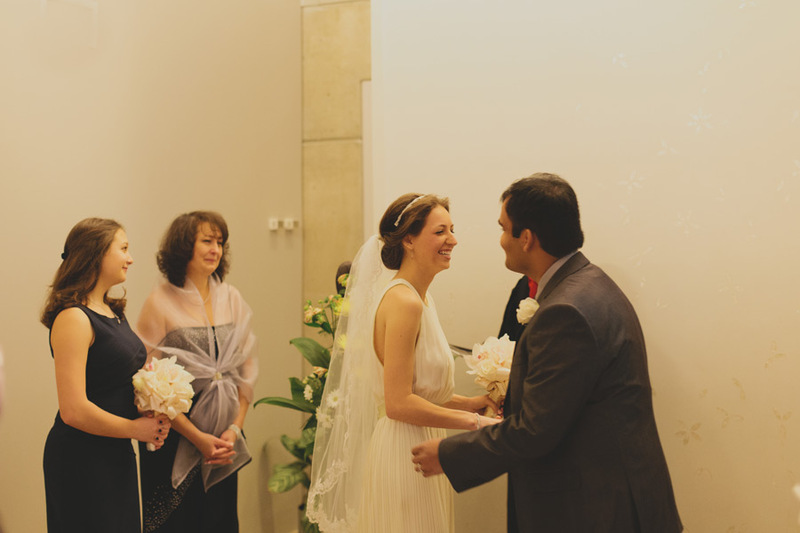 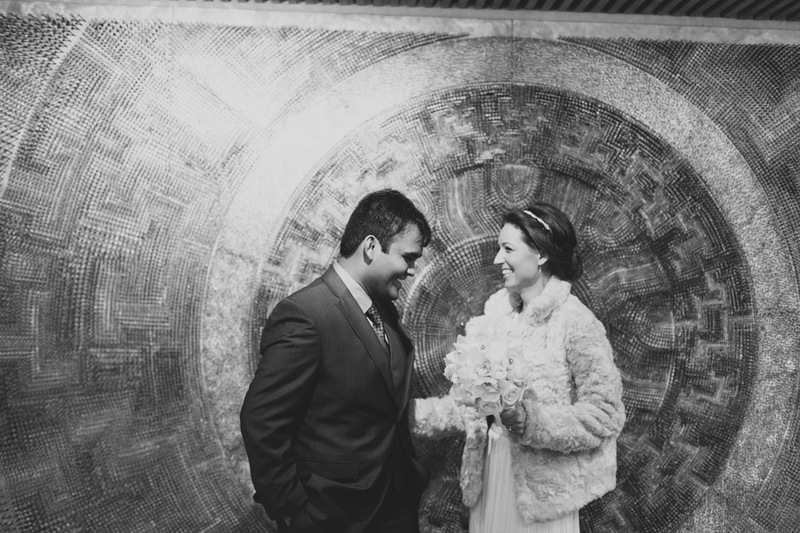 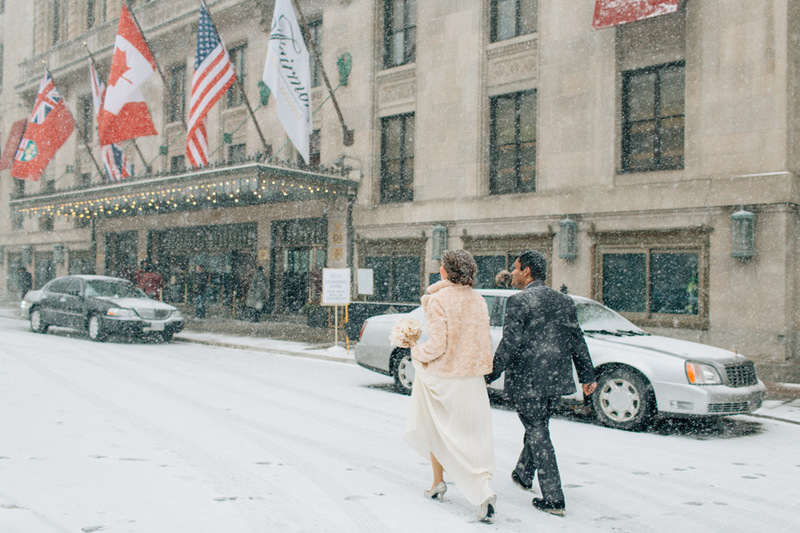 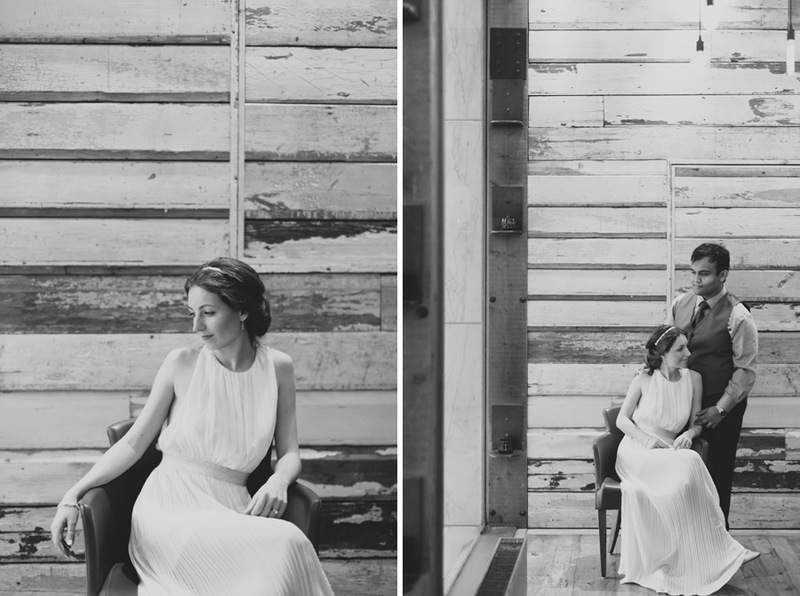 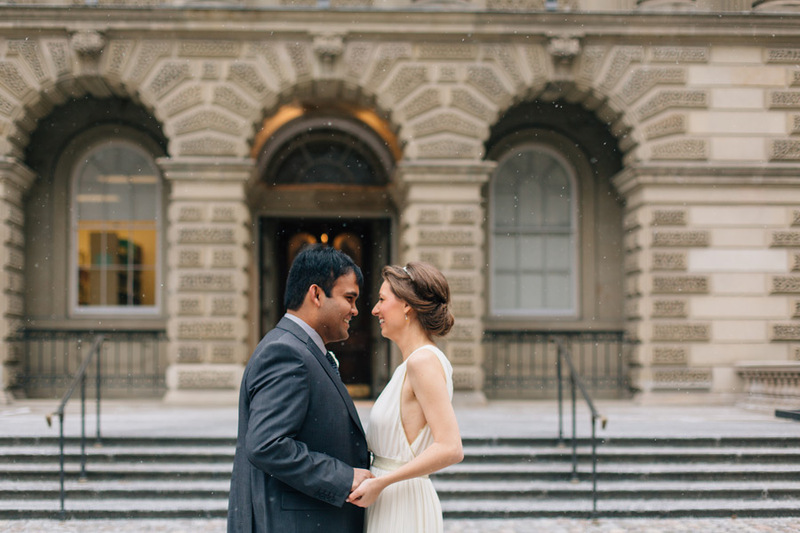 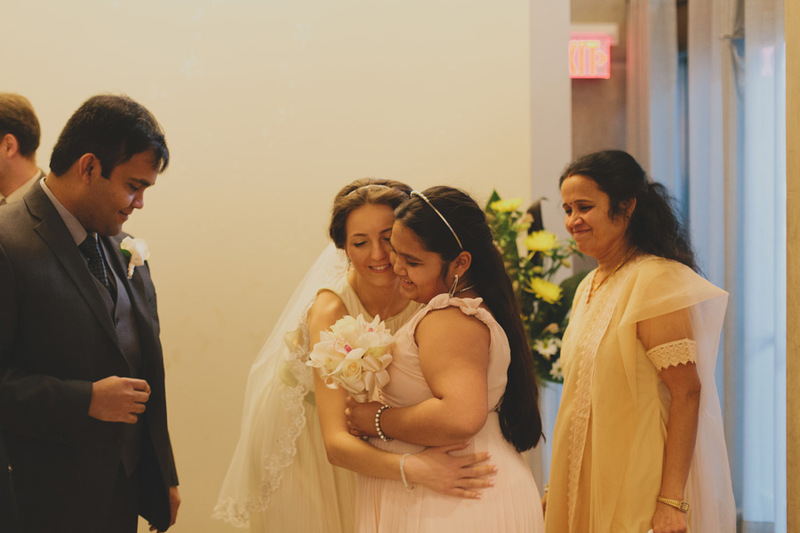 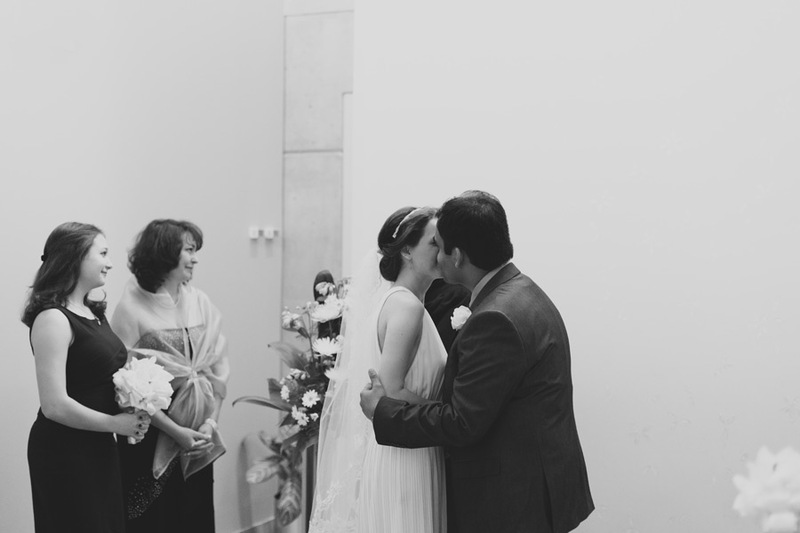 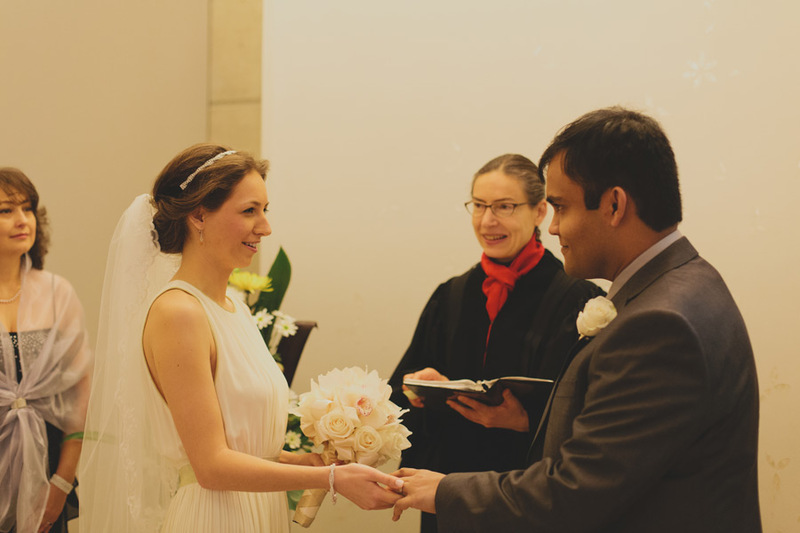 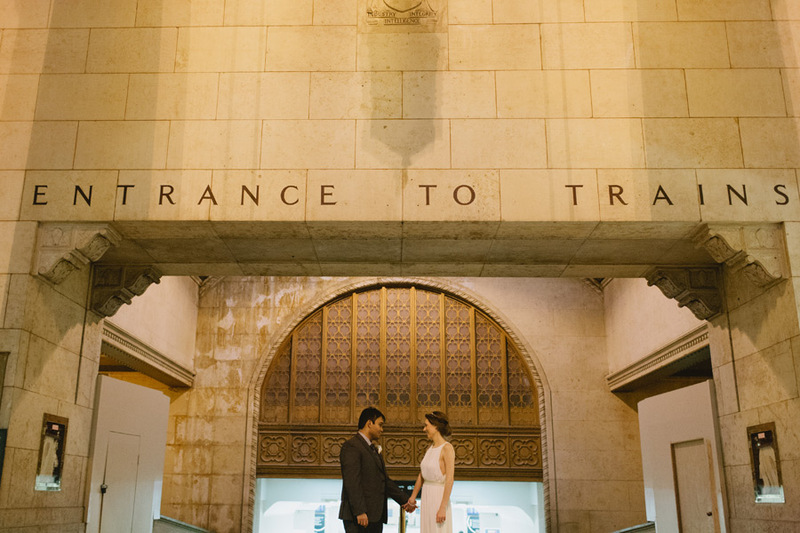 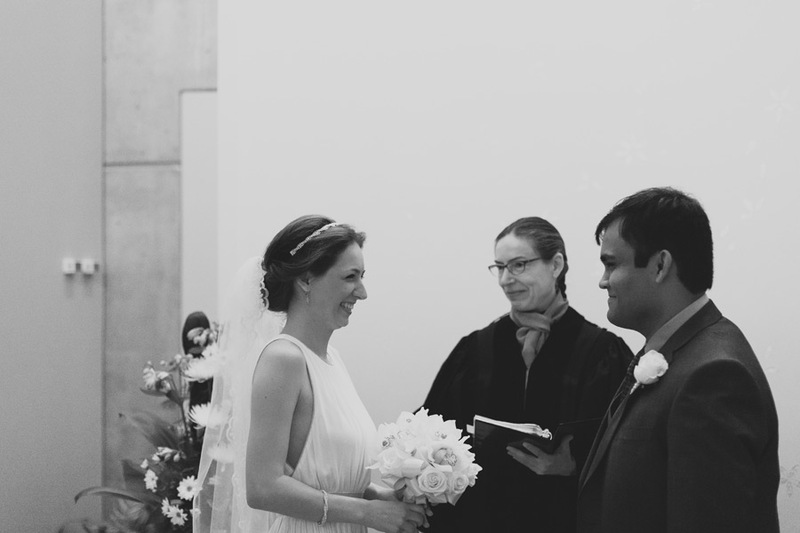 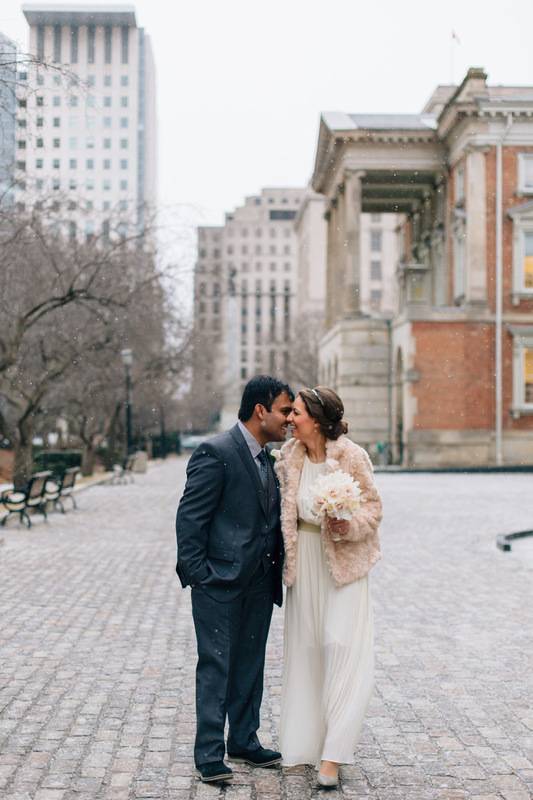 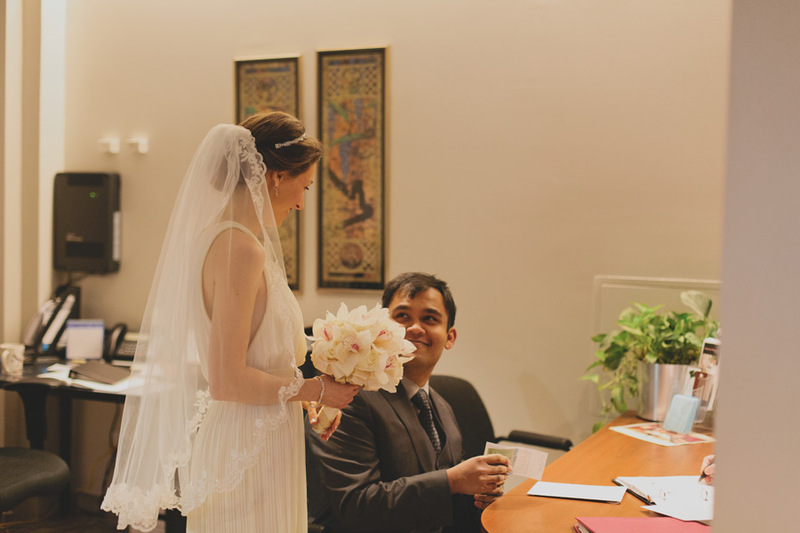 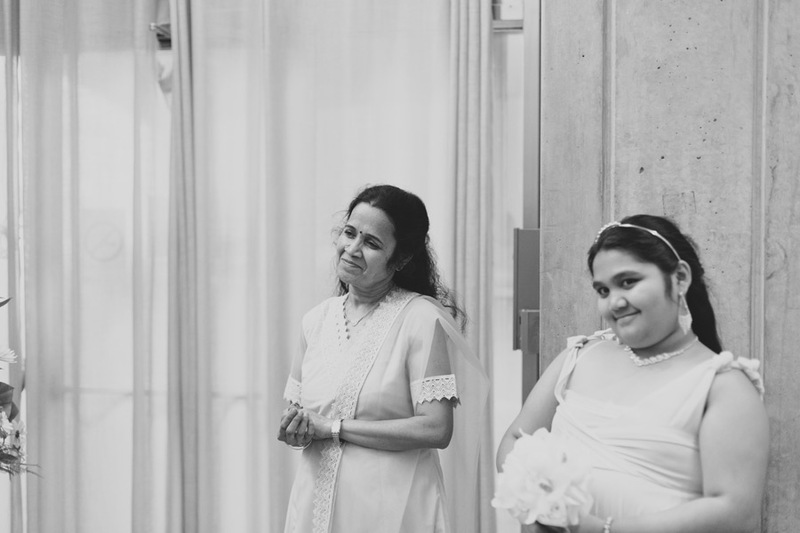 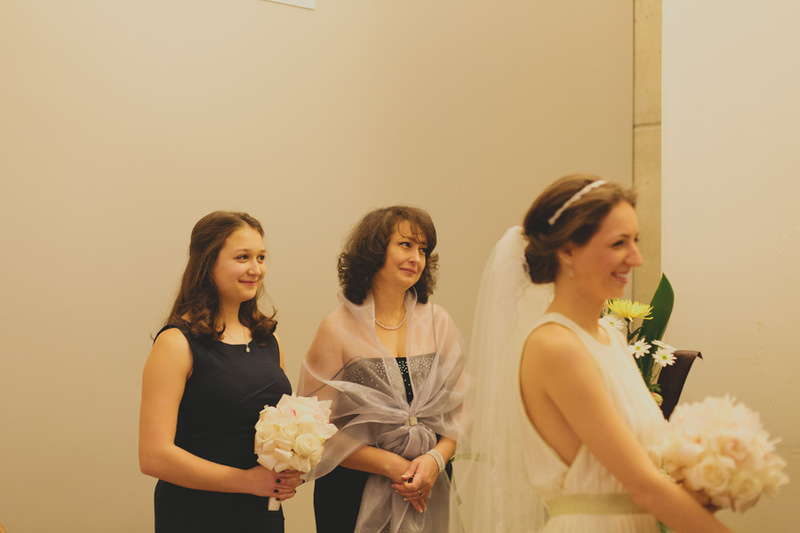 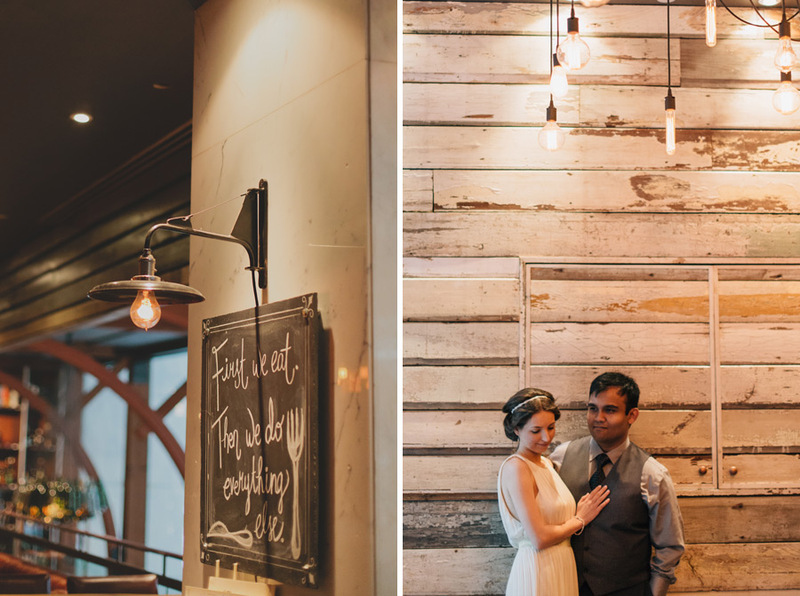 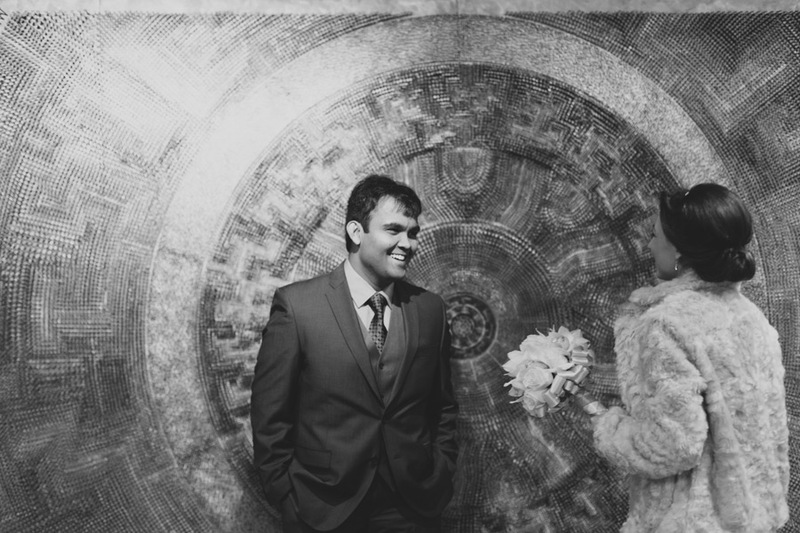 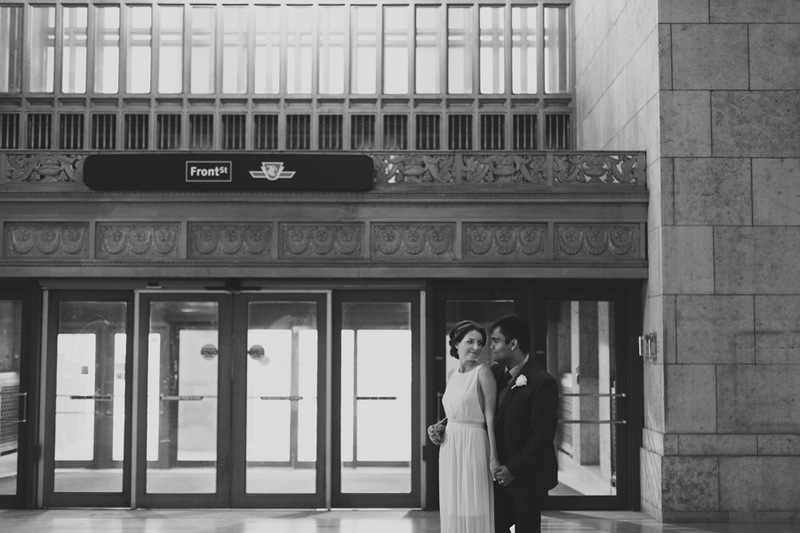 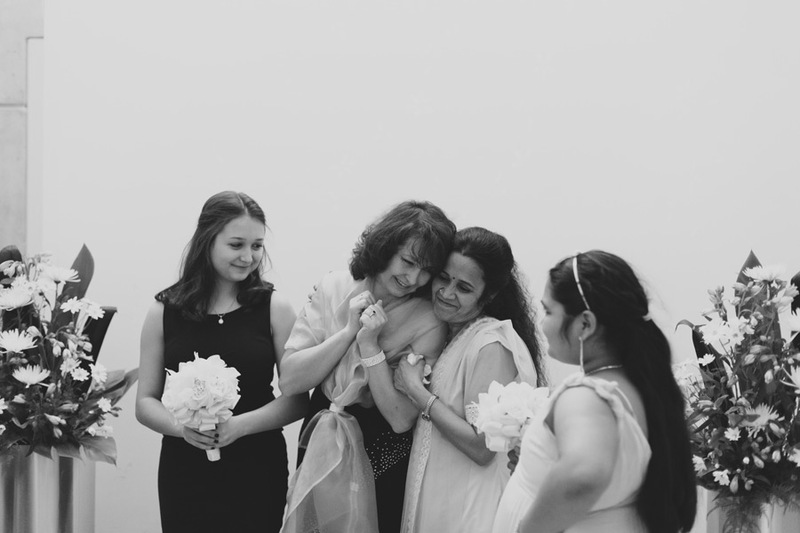 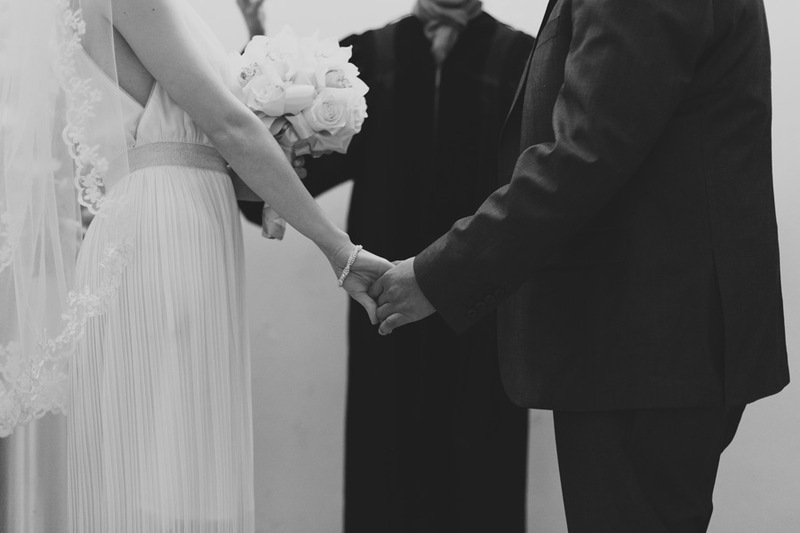 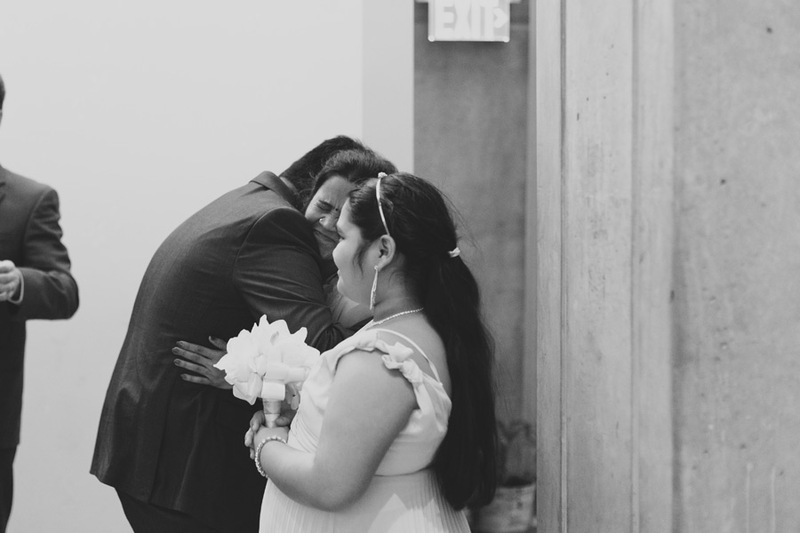 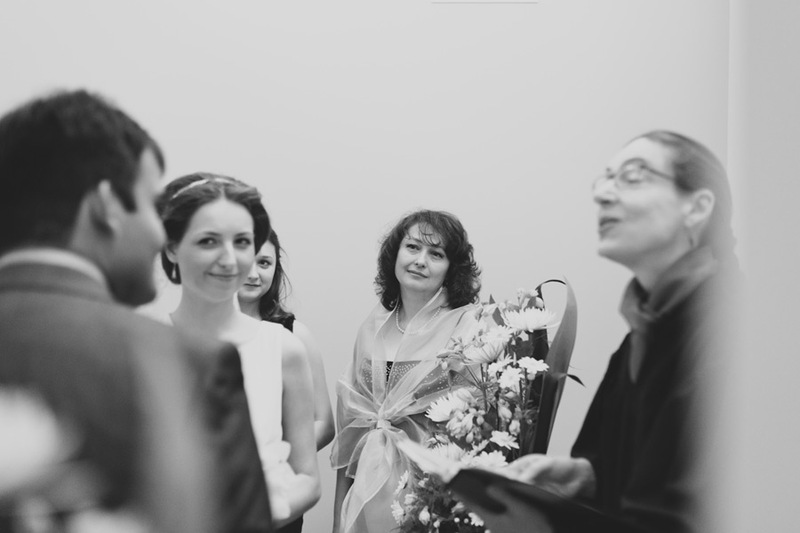 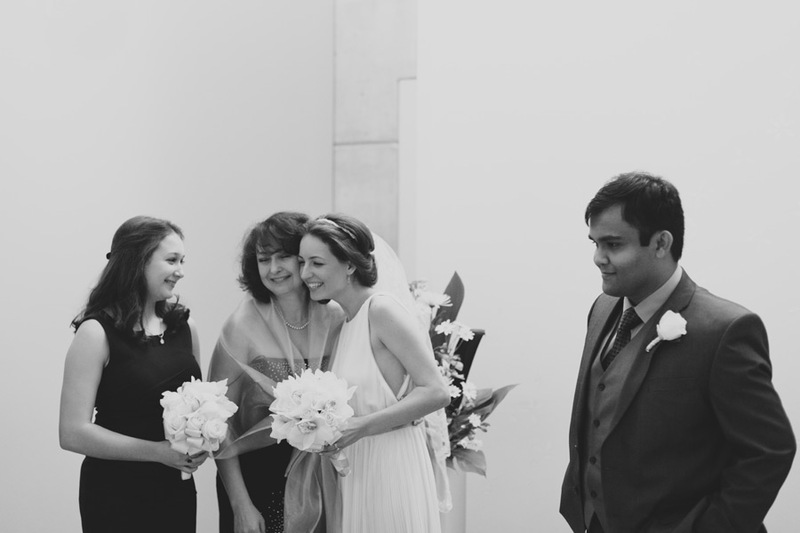 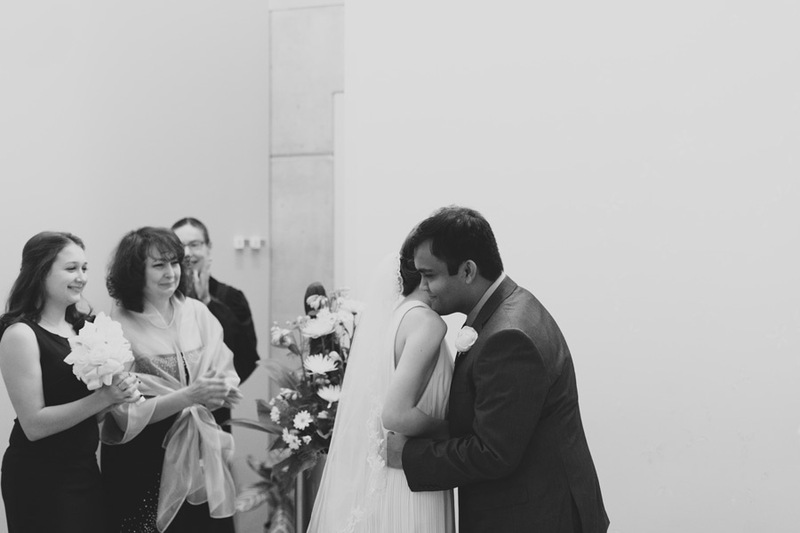 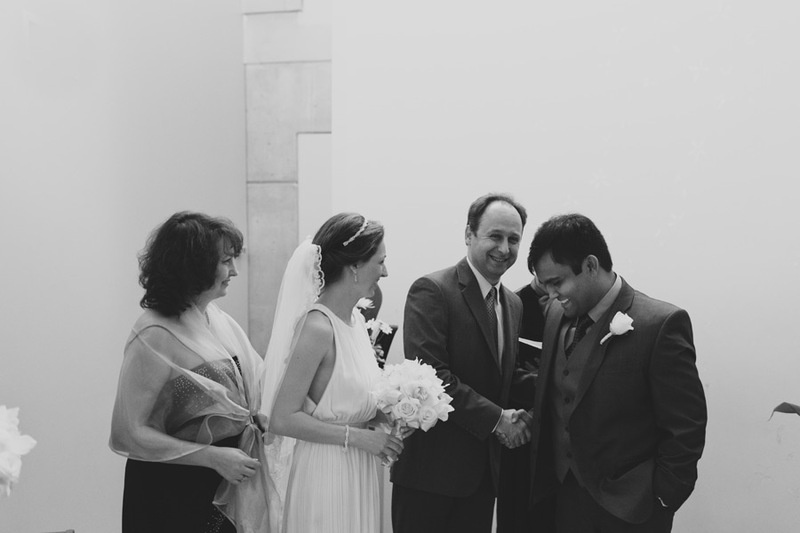 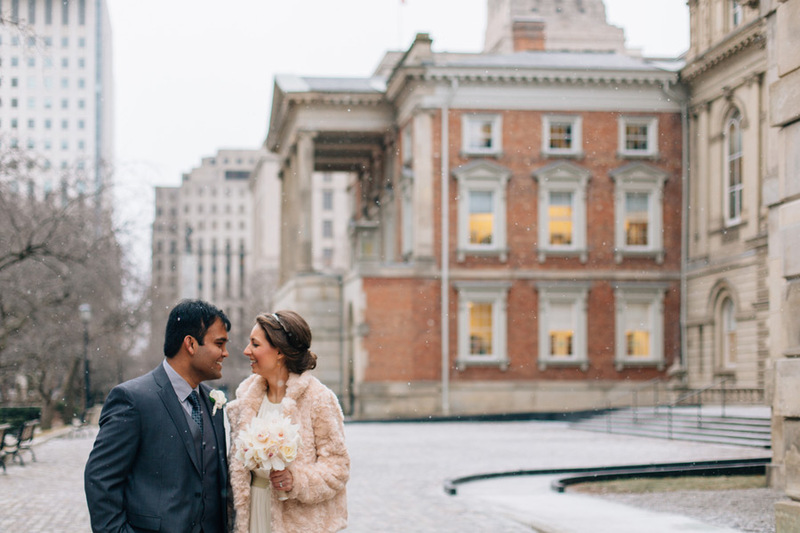 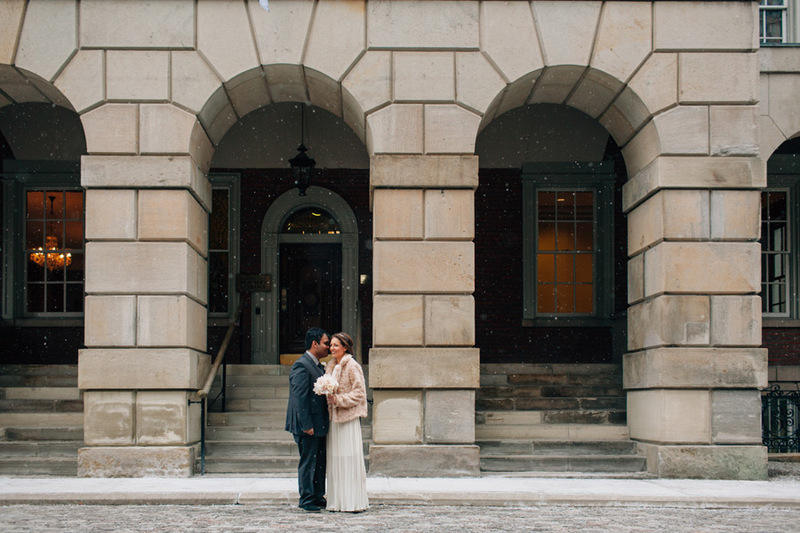 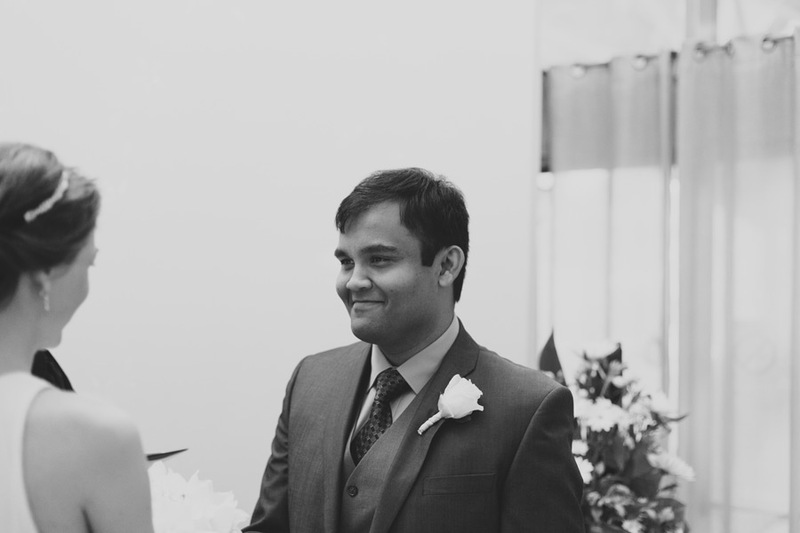 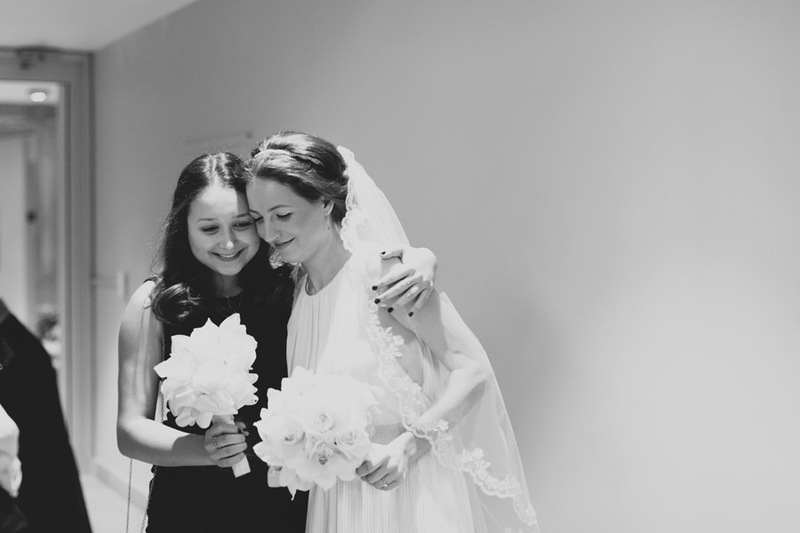 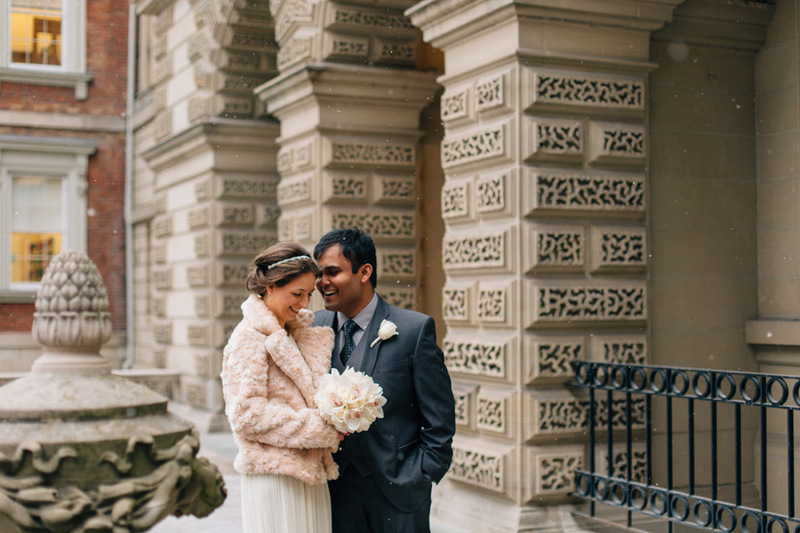 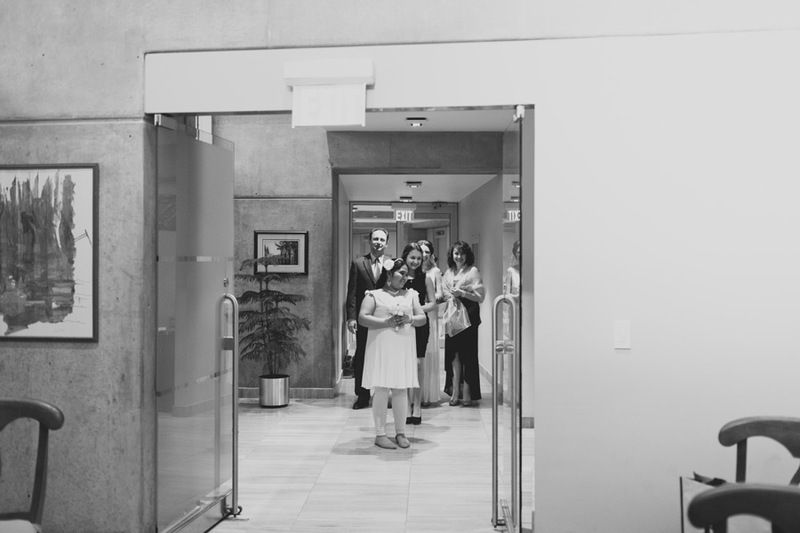 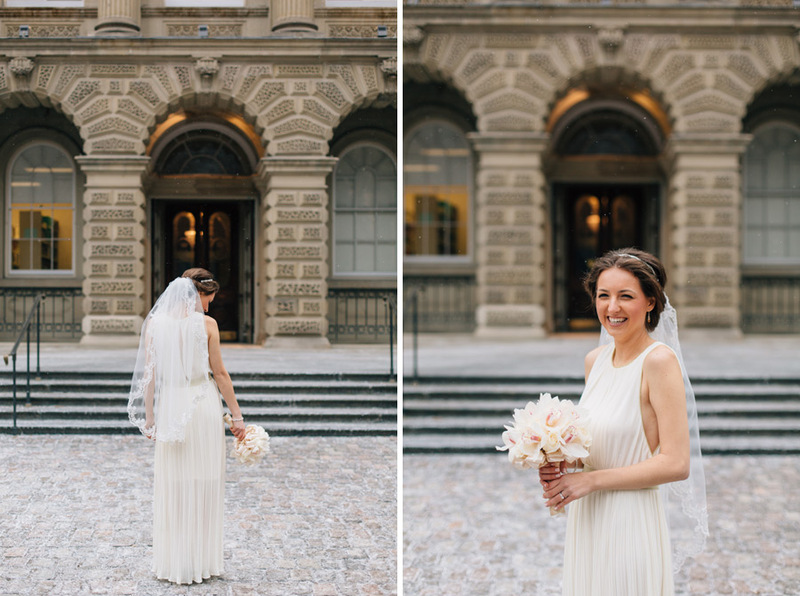 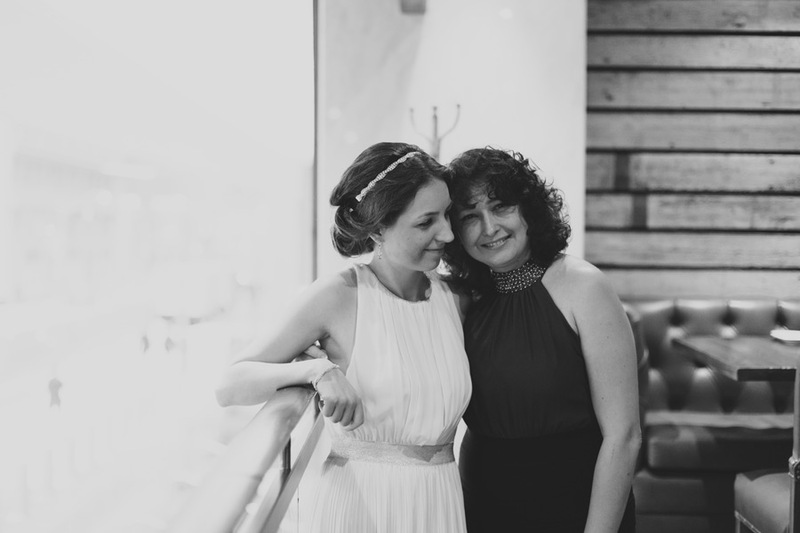 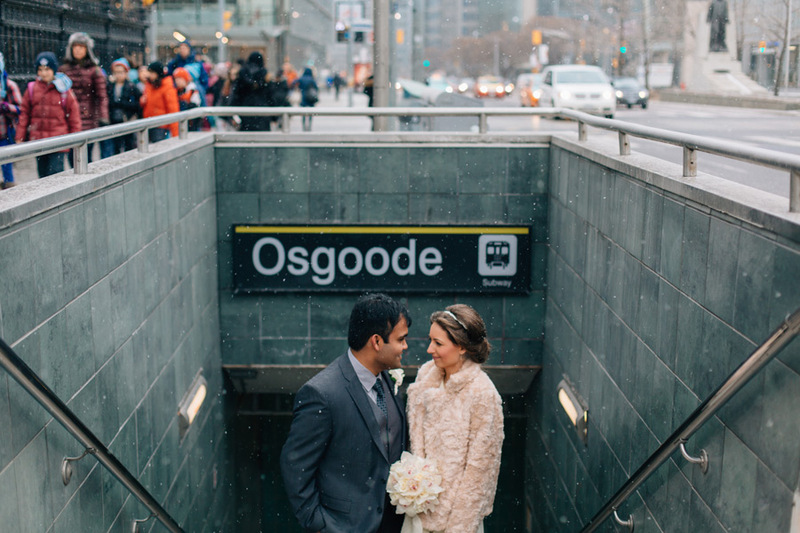 This sweet winter city hall wedding is also seen on The Wedding Co.
Winter weddings in Toronto probably aren’t rare given our long winters in Canada, but Prash & Val’s was the first I had photographed, and I hope won’t be my last! 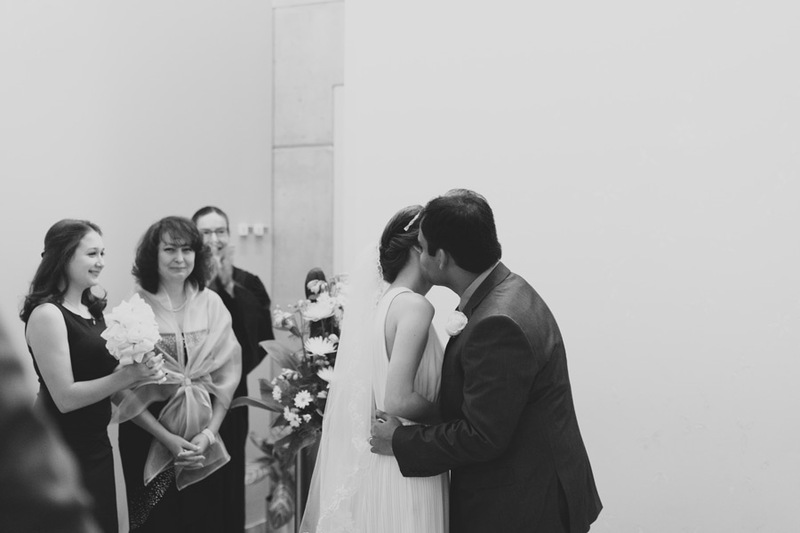 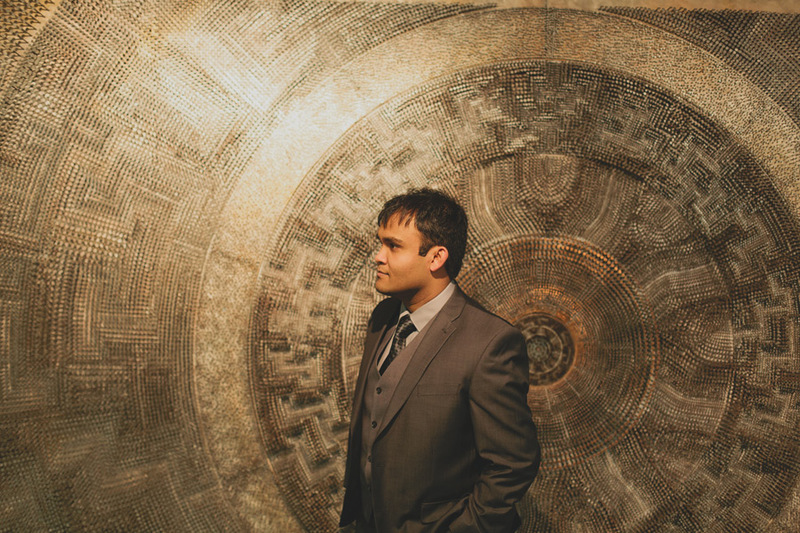 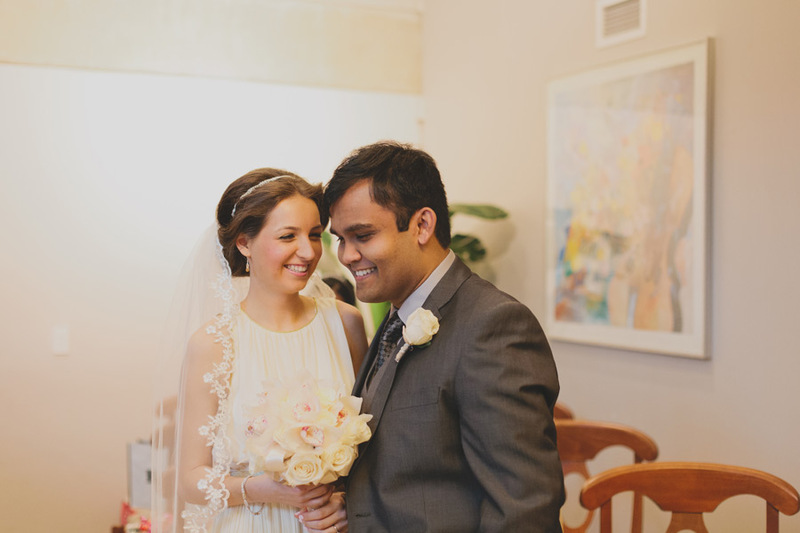 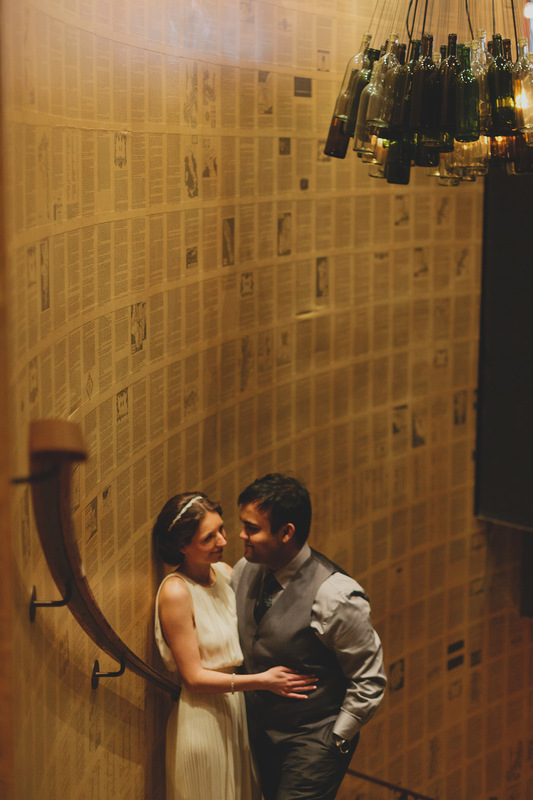 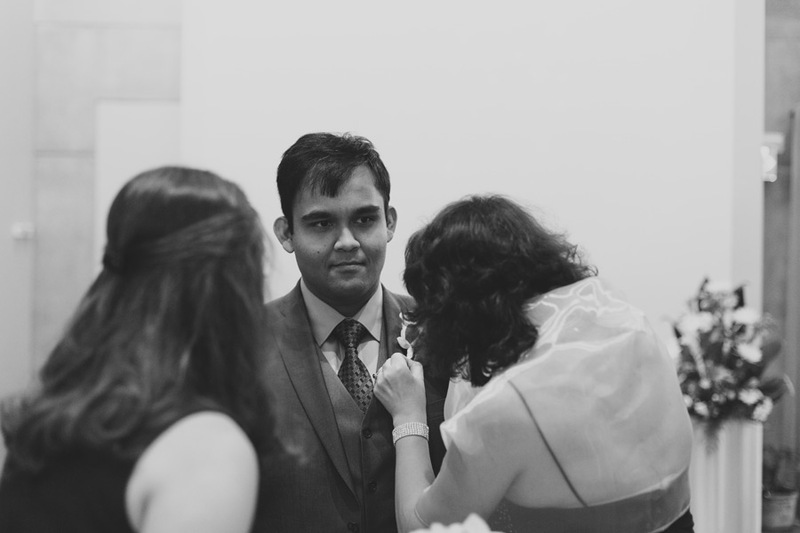 Val & Prash met in university in the same student club. 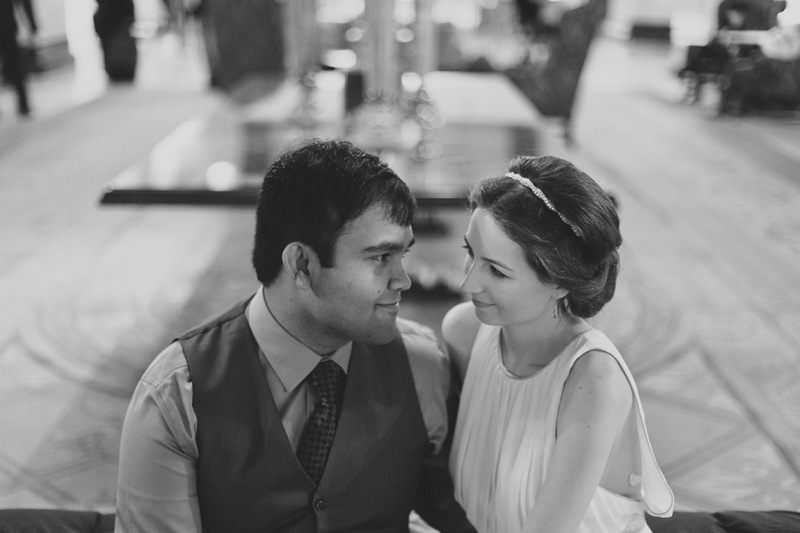 They got to know each other very well before dating and have managed to make long distance work. 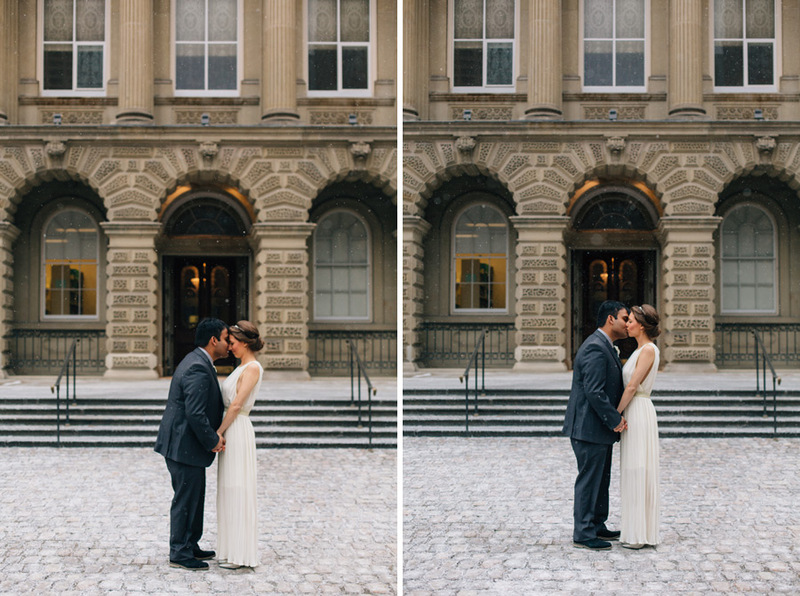 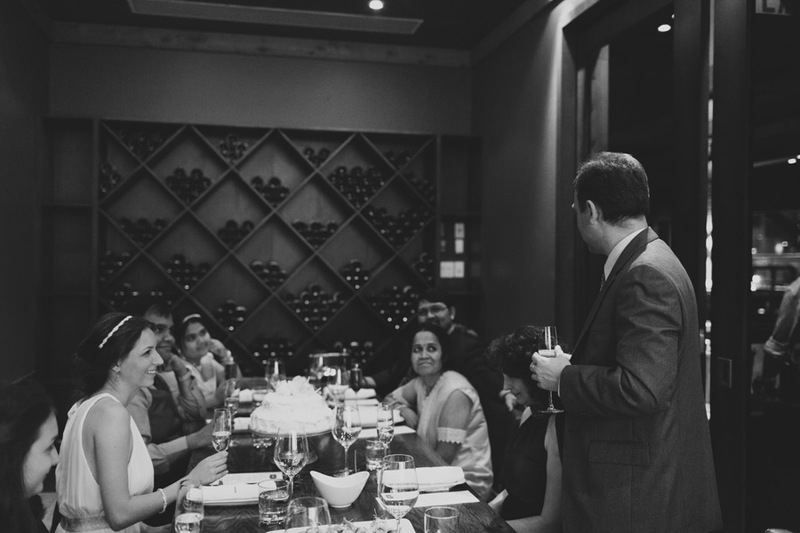 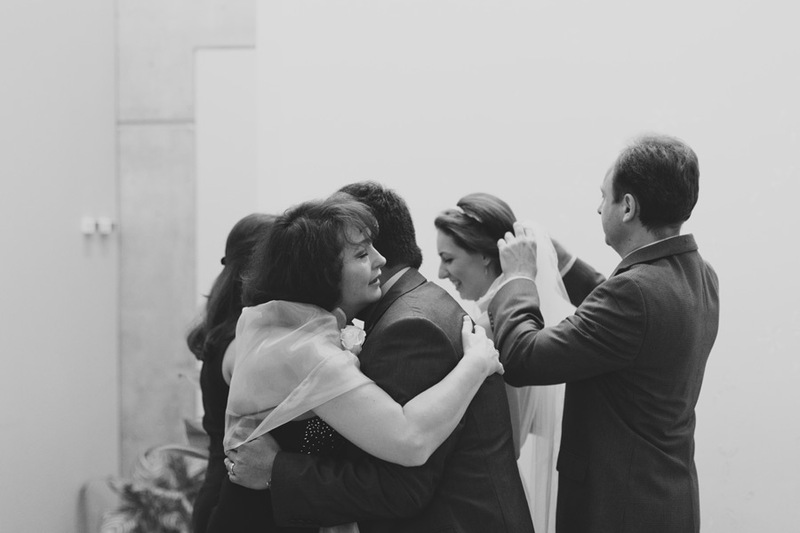 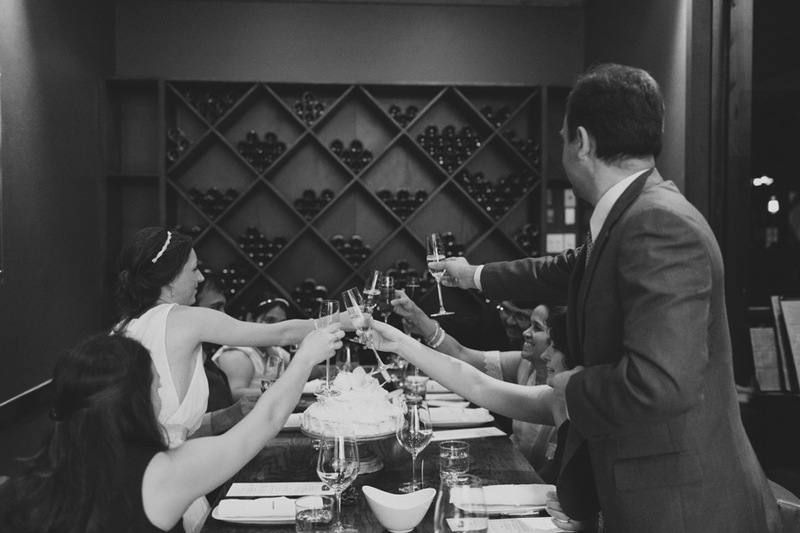 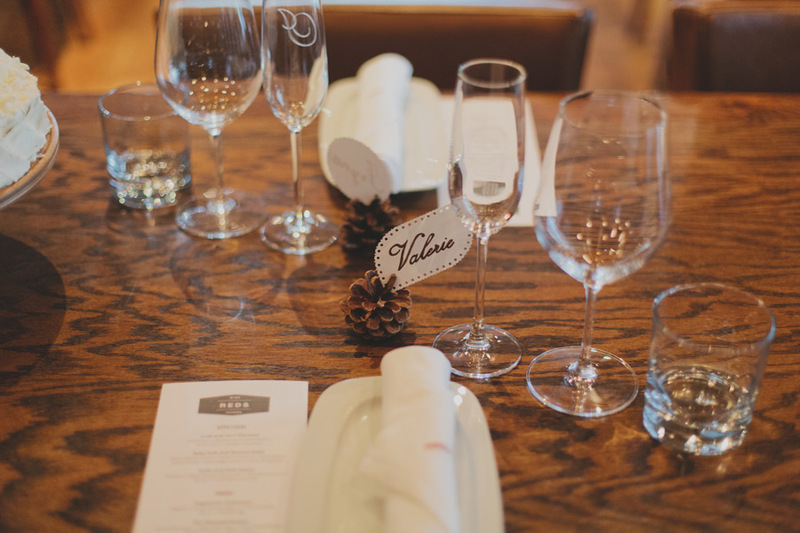 For their wedding, they wanted a very intimate & low key day with just their immediate families – which was exactly what happened. 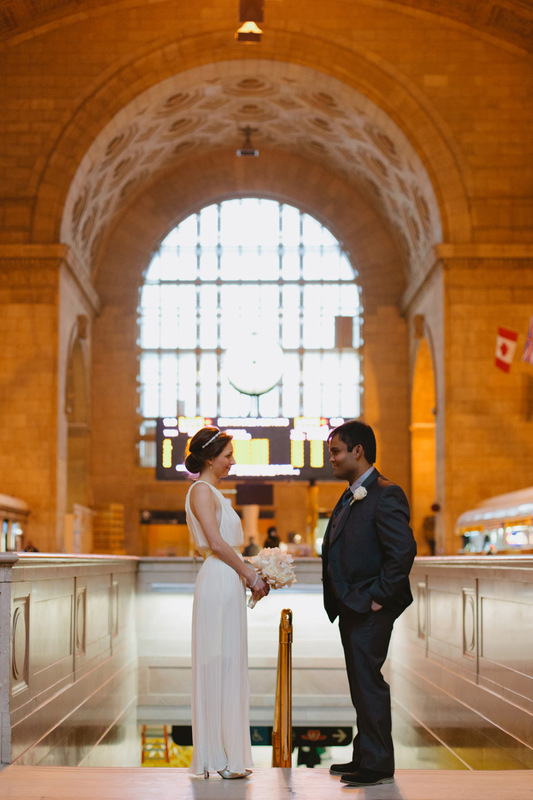 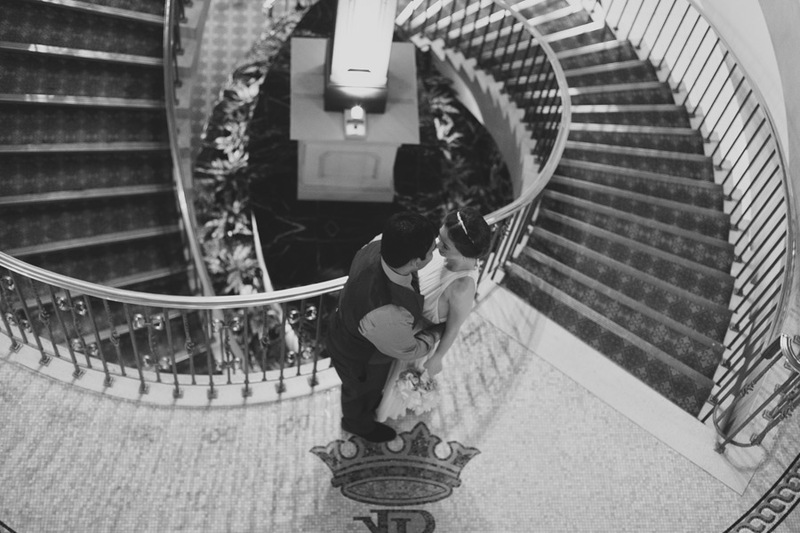 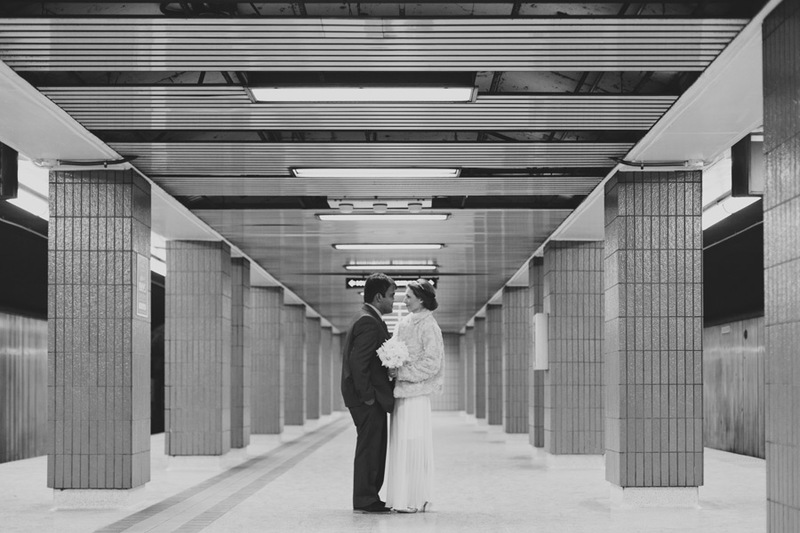 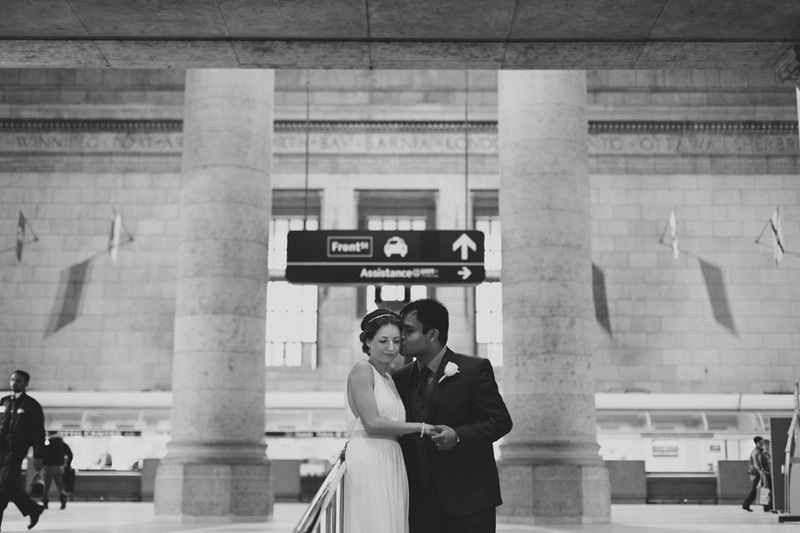 A very intimate ceremony at city hall was followed by portraits around downtown Toronto in Osgoode Hall, Union Station and the Fairmont. 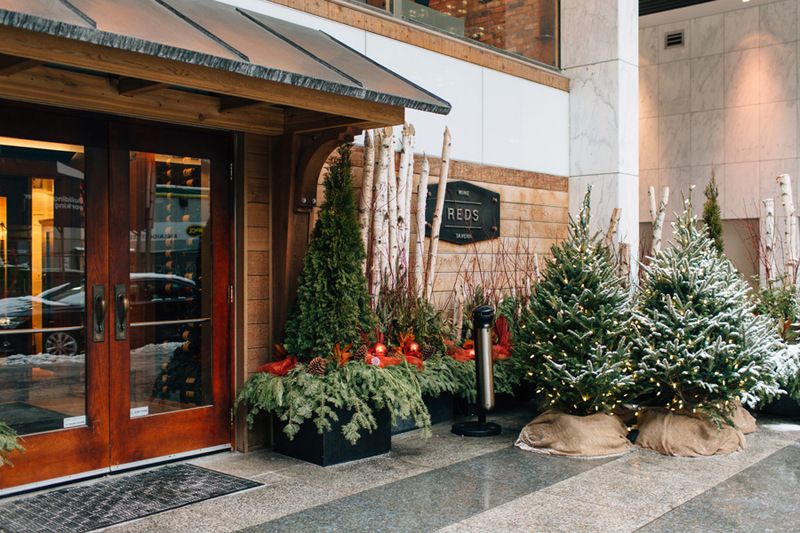 Then they enjoyed a private meal at Reds restaurant. 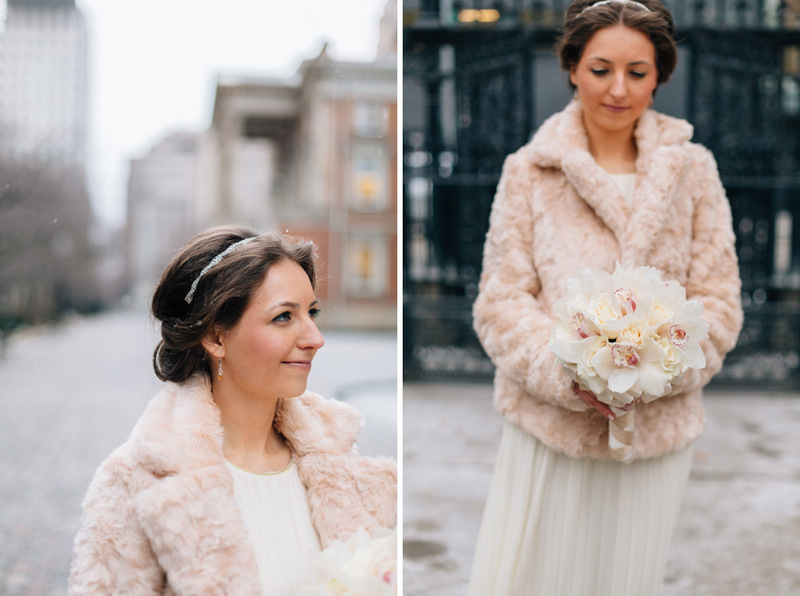 Val loves snow and even though the wedding was at the end of January, it had been pretty dry up until that point. 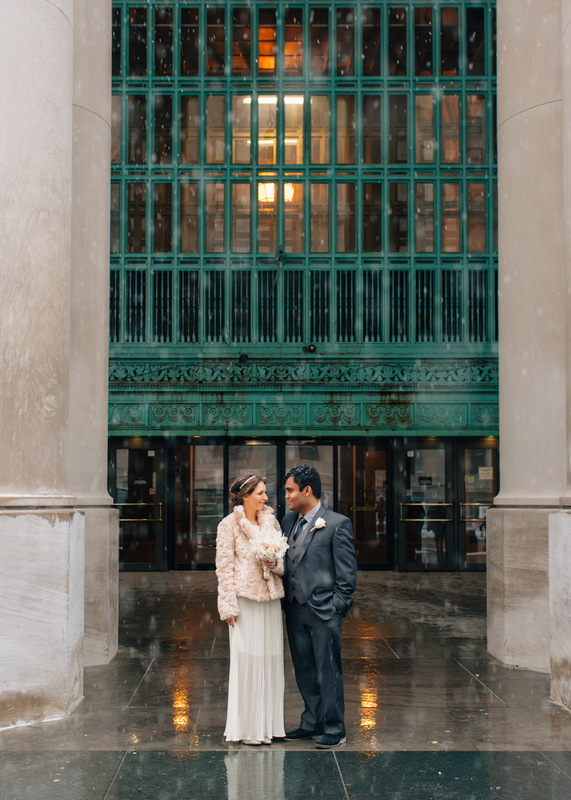 But the weather gods were kind to us; as we were walked out of city hall, it started to snow! 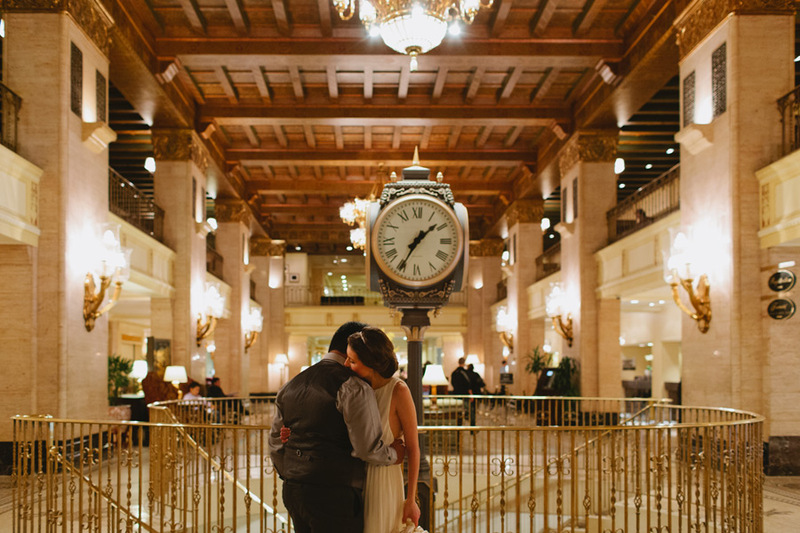 That was the perfect finishing touch to a lovely afternoon.